The charm of olde with all the luxuries and conveniences of new. This enchanting home has been extensively renewed and expanded, while keeping true to its original appeal, and to the character of Burlington’s prestigious Roseland neighbourhood. The stately exterior with its Cape Cod wood siding, functional shutters, true divided windows and extensive use of copper is set off against a magnificent backdrop of towering trees. Enjoy the beauty of the surrounding neighbourhood on a natural cedar deck and upper terrace. Landscaping plan is available, to help conceptualize how you might like to finish the yard. The interior offers grace and elegance, with high-end finishes and approximately 4300 sq’ above grade. Floors are adorned with quarter sawn Oak and marble. Pot lighting, crown moulding, deep baseboards, built-in cabinetry and closet organizers are found throughout. You’ll find kitchen and bath fixtures by Perrin & Rowe, Toto and Victoria Albert, and light fixtures by Elte and Barbara Barry. 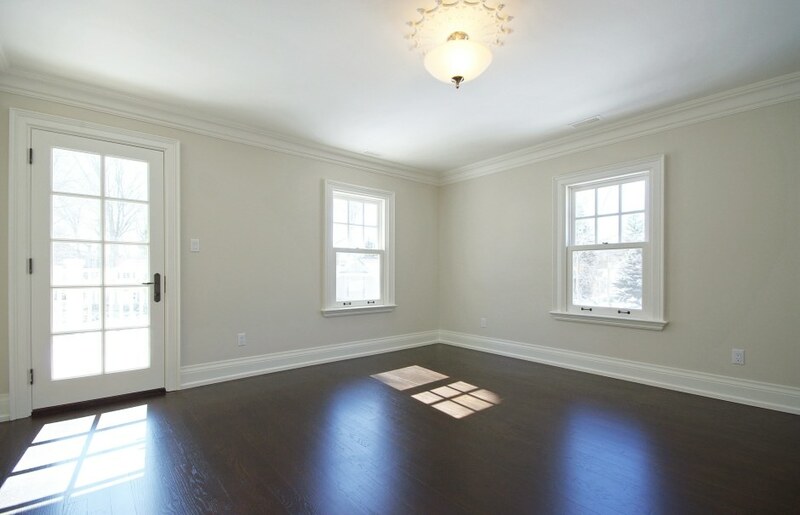 The main level boasts 9’ and 11’ ceilings, with an 11’ coffered ceiling in the Master Bedroom, as well. The focal point of the grand Kitchen is a centre island designed by Brian Gluckstein and beautifully complimented by a bright, turret-style breakfast area. Appliances are by Miele, Sub-Zero and Wolf. Counters and backsplash done in Statuario marble. The Kitchen opens to a sunken Family Room, with 11’ ceilings and 3 pairs of French doors with transoms which essentially create an extended wall of windows, overlooking the yard and drenching the home in natural light. A built in audio/video system (complete with Sony flat screen TV and blu-ray player), fireplace and built-in cabinetry complete this magnificent room. Floor-to-ceiling panel wainscoting in the separate Dining Room sets off the striking glass chandelier. This elegant room further offers a servery with built in Miele espresso maker. A beautiful, bright Living Room with wood burning fireplace, spacious Den and Laundry/Mudroom combination complete the main level. On the second level you’ll find everything one could ask for in a Master Bedroom. It boasts a magnificent, 11’ coffered ceiling, turret-style sitting area, built-in wardrobe, walk-in closet and walk-out to a terrace. The 5-piece ensuite spoils you with a freestanding soaker tub, generous shower stall with seamless glass enclosure, and Toto toilet with automated “Washlet” seat with bidet feature. 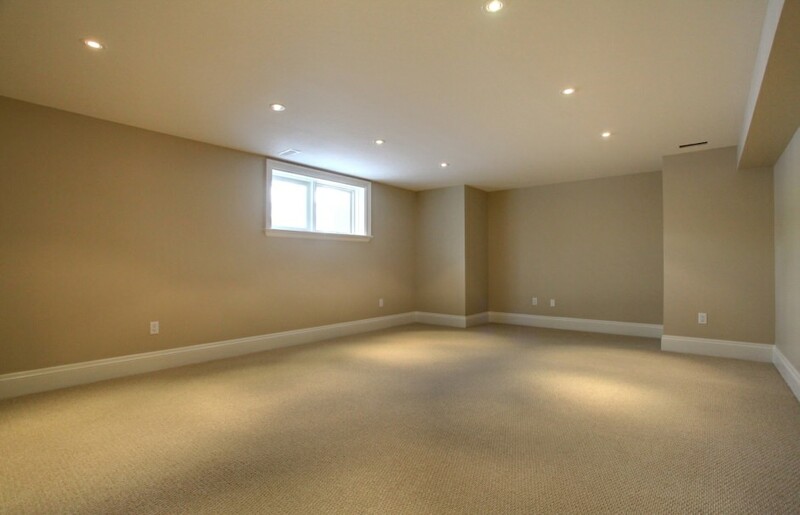 Finally, the expansive basement (approximately 2286 sq’) is beautifully finished with carpet and pot lighting throughout, and a 3-pce bath. It further boasts large, look-out windows and a wood burning fireplace. A detached, double car garage is being built. Be the first to enjoy the splendor of this exceptional home.